The Canadian army is narrowly related to the emergence of a local identity in the early 19th century. Indeed, in 1812, America declared war on the British Empire following incidents which involved the Royal Navy seizing men and ships in the larger context of the Napoleonic war. In order to harm the empire, the USA launched an expedition into Canada (very much seen as a British stronghold in North America). Three expeditions were launched, but all failed, not so much due to the British troops stationed there, but thanks to the Canadian militias. The French Canadian identity also came into view at that stage and perhaps participated in this national emergence at large, despite later creating a rift over conscription. Anyway, it was not before WWI that a large, professional standing Canadian army went into action. Before that, the standing army was reduced, alongside a much larger militia. The Canadian Expeditionary Force (CEF) followed a first attempt of mobilization by Sam Hughes, the minister in charge of defence and militia. A larger effort for a mass mobilization was set in motion by Willoughby Gwatkin, the army head of staff. It raised 600,000 men and women (nurses, chaplains and soldiers) during the war. The best equipped and longest part of this CEF was constituted into the the Canadian Corps in September 1915, comprising the 2nd Canadian Division when it arrived in France. It would be joined by the 3rd and 4th Divisions between the fall 1915 and early 1916 and will see action at Neuve Chapelle (March 1915), Ypres (April 1915) and the Somme between July and September 1916. In these battles, they gained fame and recognition as reckless and efficient attackers, although paying with 24,000 casualties. Canadian soldiers at Vimy Ridge in April 1917. 8 old Mark II tanks were given for support. All these actions saw one division, more rarely two or three, engaged at the same time. However, at Vimy ridge, for the first time, the entire corps was mobilized in April 1917. Again, the corp was in action at the gruseome Battle of Passchendaele (fall 1917). Eventually, Canadians participated in the Hundred Days Offensive in August-November 1918. During all this time, the Canadians never had access to tanks and always expressed the wish to have their own armored unit, contrary to the United States. 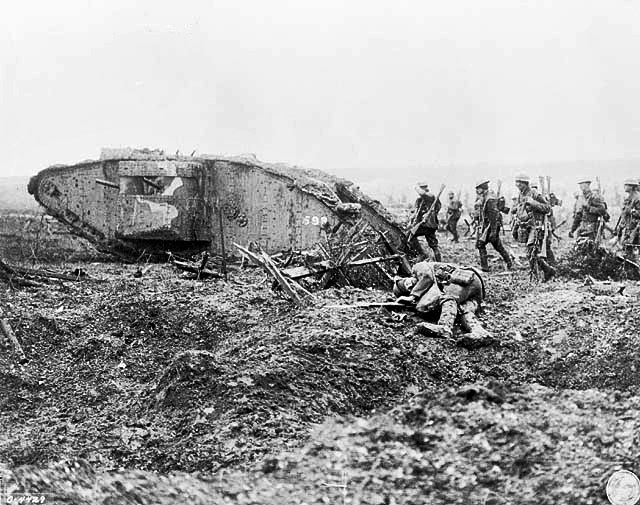 However, on several occasions, Canadian infantry did go on the offensive with some tank support: At the Battle of Courcelette, for example (1 of 12 survived the assault), 8 tanks were present at Vimy, but apparently not afterwards. The only Canadian-built and operated armoured vehicle was the Autocar, a small armored personal carrier armed with two Vickers machine guns. Another 40 Jeffery-Russel armored cars came with the Canadian troops, but were used by the British in Ireland and India after the war. The Canadian Tank Corps was created in 1918, and had three battalions that were disbanded in 1920. 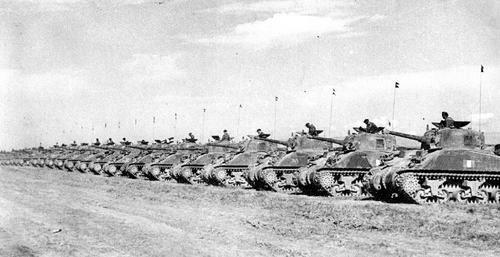 A few Mark VIII “Liberty” heavy tanks were also acquired for training in 1940, along with fifteen 6-ton tanks (American built Renault FTs) from the United States, at scrap value. However, nothing was acquired during the interwar, as the army was much reduced, before and especially after the 1930 crisis. In 1927, the question was raised to acquire four Mark I tanks from British stocks, but it never went far. In 1936, six (tank) infantry regiments were created, but were devoid of tanks. There was also some form of resistance to motorization from militias, which preferred horses. By the time the Commonwealth followed Great Britain into war, Canada (whose prime minister, William Lyon Mackenzie King, declared war seven days after UK) was found able to mobilize an infantry division, but had no tanks in support. Nevertheless, the first Canadian infantry units arrived in Great Britain in December 1939 and a full infantry division in 1940. One regiment took part in the BEF and successfully withdrew from Dunkirk. In total, over a million Canadians served during World War II (10% of the population), with 42,000 killed and 55,000 wounded. Canada built, during the immense effort of the six years of war, the fourth largest air force and fifth largest navy, and its industries provided thousands of tanks to the war effort. But it started from a poorly equipped, small defence-only Permanent Active Militia of 4,000 men in 1939. Over the course of the war, it would enlist 730,000. However, it’s first operation came in Sicily by the summer of 1943, and, one year after, many more Canadian forces were engaged, making a breakthrough on Juno beach in Normandy. The Canadian industry was probably the most capable of all Commonwealth nations to provide large supplies of materiel to the Allies. It was already the fifth largest car manufacturer and fourth largest locomotive builder. Both provided a good start for the construction of trucks and other vehicles at scales only known to the USA. Ford and GM Canada cranked up 800,000 trucks, among which the famous Canadian Military Pattern (CMP) which soldiered on all fronts. 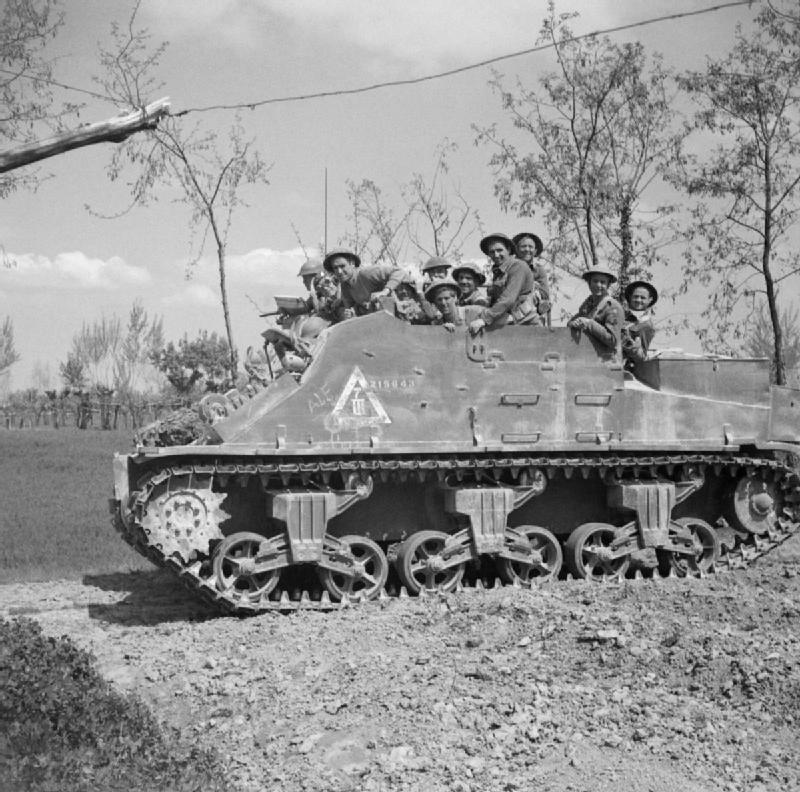 But proper war production included the Ram tank, inspired by the Sherman, but with many modifications, which served with the 1st Canadian Armoured Carrier Regiment as an APC in France and the Low Countries; but also the Sexton, a famous SPG, and the Otter, Lynx and Ford armored cars, among others. Canada also built 1,390 Valentine tanks, which were shipped to USSR through the Pacific. Canadian Ford chassis also helped the construction of Marmon Herrington armored cars in South Africa and Rover armored cars in Australia. 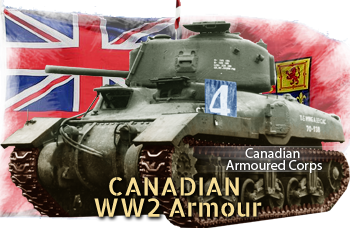 However, most armoured divisions that the Canadian Army fielded were entirely equipped with US-built tanks, M4 Shermans, with some Sherman Firefly tank hunters. 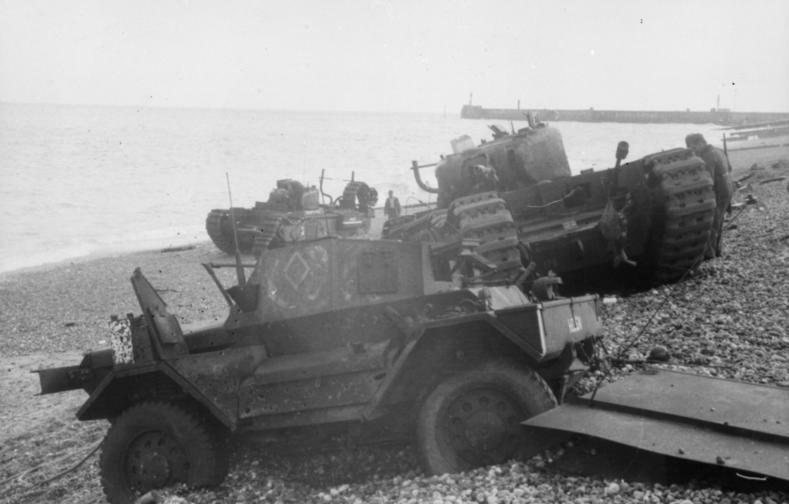 The unfortunate Dieppe raid (19 August 1942) was a Canadian rehearsal for D-Day, with early British Churchill tanks. Although a failure which ended in a bloodbath, it nevertheless tested the concept of amphibious assault and its real gains were difficult to evaluate, but certainly reduced the numbers of errors and casualties on D-Day. Less is known about the “C-Force” sent to defend Hong Kong in late 1941, most of which was killed or captured, enduring a long captivity in Japanese camps, were most died. Troops were also deployed in Newfoundland for the duration of the war, a crucial area for delivery from the continent to the USSR. Based on a Canadian built M3 Lee chassis, and although 2000 were built, they served for training, as only Sherman-equipped units were active, partly for standardization reasons. However, all variants, like the Badger, Kangaroo, and Sexton saw action in Italy, France, and the low countries. M3 Grants were also used for training in 1942-43. 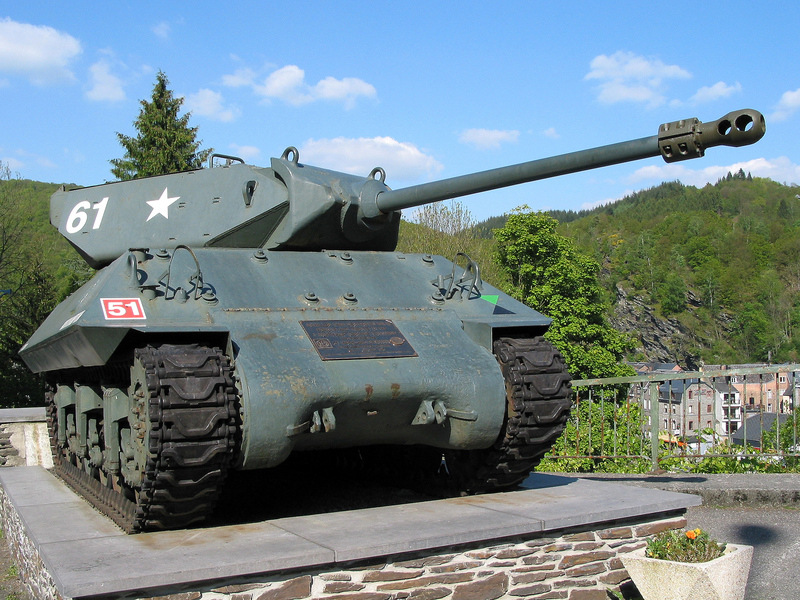 The Canadian-built M4A1 Sherman program was eventually dropped in Jan 1944, and only 188 hulls were completed. An improvised APC built the 1st Canadian Armoured carrier regiments, seen here in Normandy. Canadian Valentine VI in Sussex, UK, 1943, and below a Mark X stationed for training in Great Britain, early 1944. The first Canadian WWII tanks were 16 Valentine VI, in 1942. Over 1800 were built in Canada, mainly for Lend-Lease to the USSR, but some ended in the nortwestern European theater. Alongside the Sherman Fireflies in service, M10 Achilles tank hunters saw action with the Royal Canadian Artillery from D-Day on. 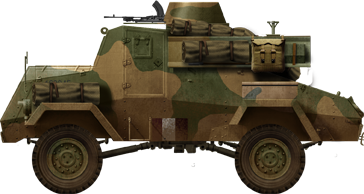 This alternative to the M7 Priest, armed with the standard-issue 25-pdr (87.6 mm/3.45 in), was largely distributed to British and Canadian units. It was quite successful and over 2,150 were built, seeing action in Europe. The Otter was one of the three Canadian-built types of armored cars produced during the war, together with the Lynx (Daimler Dingo) and Ford. 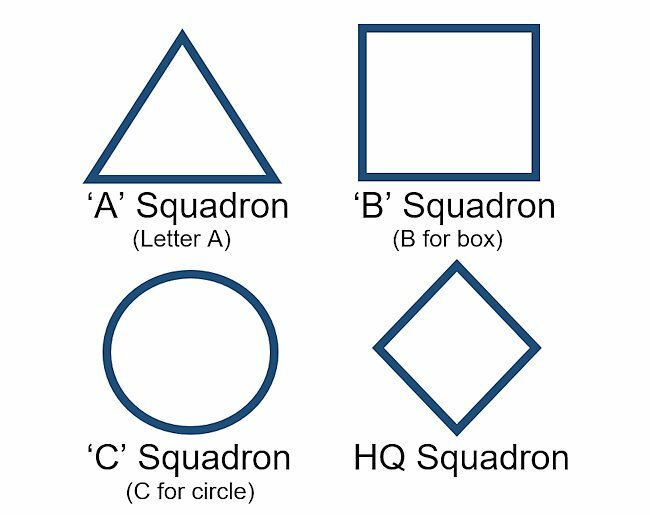 Canadian RCAC tank Squadron markings. The colour changes depending on the regiment but they normally use the same shapes.